How much will this track cost? We operate a credit system. The selection you have made requires 22 credits. Buy the 22 credits you need or top-up with credit packs. When buying credit packs it can cost as little as: *£16.50 +VAT in the UK/EU. * Discounts increase the more credits you purchase. Credits never expire! We have a variety of license types for a variety of uses. Below is an overview of what each license type covers, what is allowed and what is not allowed. Click on the links for full details. You can use our music and sound effects in your online video by purchasing our standard license. You can use our music and sound effects in your video or film and make up to 5,000 units on our Standard License A. Make and distribute or sell up to 5,000 physical copies. If you plan to make more than 5,000 units use Standard Licenses B to E. If you are not sure, get the standard license and contact us later when / if you need to upgrade. You can use our music and sound effects in your apps, games or software by purchasing our standard license. Our Broadcast A license includes TV or Radio broadcast (excludes advertising). See Advertising Licenses A to H for advertising options for regional, national or worldwide broadcast. If our music is going to be used in a way that means it will be synonymous with a brand or a film theme tune we reserve the right to charge a higher license fee. If your campaign is a household brand with massive exposure please get in touch for a quote. If your film has a large budget or is a major cinematic release we reserve the right to charge a higher license fee. If your film is low budget or a student film please see our standard license options. Please feel free to get in touch for these licenses or for any questions you have. These license options include the same uses covered in Standard License A but extend its usage to include advertising on a TV and Radio campaign regionally and nationally. These license options include the same uses covered in Standard License A but extend its usage to include advertising on a TV and Radio campaign worldwide. This license option includes the same uses covered in Standard License A but extends its usage to include use in an online advert. We define an online advert as an audio or video promotion created specifically as an advert to be placed in advertising networks. This is where your advert plays on or at the beginning (pre-roll) of online content. This license option covers usage in theatrical or cinematic productions regionally or nationally. If your project is a very small local/small production our standard license will suffice. This license option covers usage in theatrical or cinematic productions globally. The same as Advertising A license but also includes license Advertising C: Online Ad Delivery. The same as Advertising B license but also includes license Advertising C: Online Ad Delivery. Includes all uses of Advertising Licenses A to H.
Make the music shorter or longer to fit your project. Talk over it and mix it with other music and sound effects. Use our music anywhere in the world. Sing over the music but only as part of an advertisement or corporate promotion. You can not sing over the music to make your own song. You can not share or distribute music licensed from us. You can not use our music previews or edited versions of them in your finished project. If you have a specific requirement, please get in touch with details about your project. 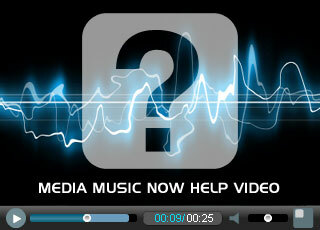 If you have further questions please see our Royalty Free Music & Sound Effects FAQs. If you have a specific requirement or budget not covered here or in our FAQs, please feel free to get in touch.